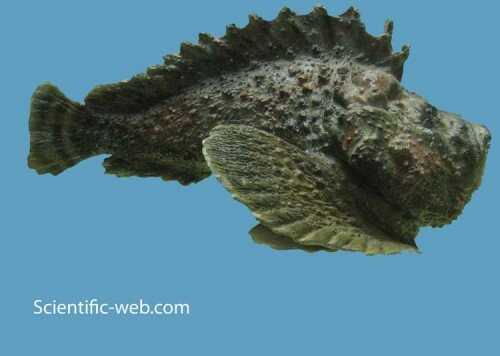 The Synanceia, also known as part of the Stonefish family, are members of the Synanceiidae family whose members are dangerous, venomous, and fatal to humans. In fact, it is considered the most venomous fish in the entire world! 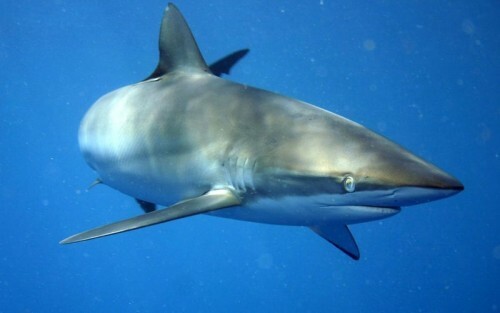 These dangerous fish are found in the coastal regions of the Indo-Pacific oceans. Although they primarily live in a marine environment (ie in a sea or ocean), some of the Synanceia species are known to live in rivers. Their range is from the Red Sea and East Africa to French Polynesia, up to the Japanese islands of Ryukyu and Ogasawara, and south to the northern parts of Australia such as Queensland. 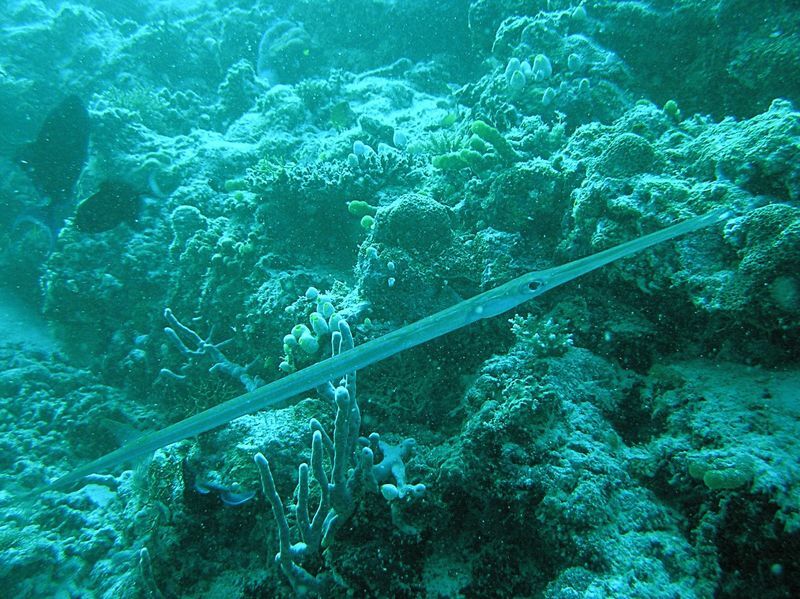 They have a maximum length of 40 cm, however they are commonly found at 27 cm long. The maximum weight ever recorded was 2.4 kg. All of these fish secrete a potent neurotoxin from its glands which are found at the base of their dorsal fins that are needle-like. When they feel disturbed or threatened, these needle-like fins stick up. 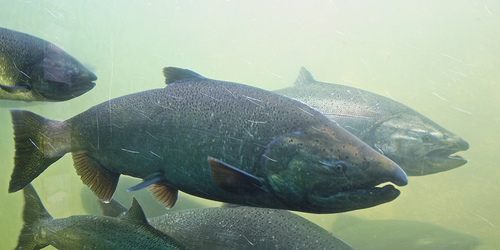 What makes these fish even more dangerous is that they are able to camouflage and transform themselves into a similar colour of stones – a grey and mottled colour. As a result, Divers have sometimes accidentally stepped on them as they thought they were stones. In addition, it is possible for stonefish stings to occur on the beach as stonfishes can actually stay out of the water for 24 hours. However, beach goers usually don’t know this, plus the fact that they look like regular rocks or coral doesn’t help as well. 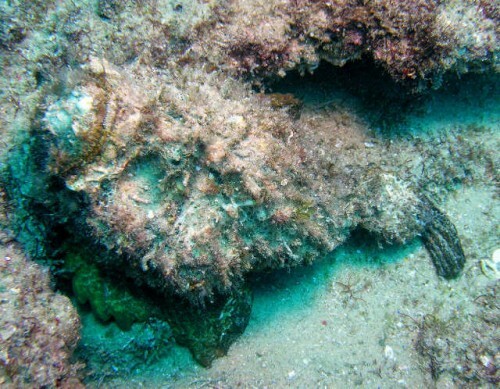 Can you see the stonefish in camouflage mode? If you or someone you know has been stung by the stonefishes, it is recommended to use a treatment involving heat to the affected areas as well as using anti-venom. It has been found that using hot water at no lower than 45 °C (113 °F) to the affected area will actually destroy the stonefish’s venom and cause the victim minimal discomfort. For more extreme cases, anti-venom must be used. In fact, stonefish anti-venom is actually the 2nd most administered antivenom in Australia! The amount of anti-venom given depends on the number of puncture wounds that appear from the spines. If the stonefish stings are not treated, they will cause poisoning and death. Indigenous Australians knew that the stonefish was rather venomous, and even had corroborees which involved re-enacting a death of someone who trod on the fish. Interestingly enough, the Aborigines who live in Northern Australia and the Great Barrier Reef have different ways of preparing the fish in order to avoid poisoning. It is uncommon to see stonefish at fish markets around the world, however it has been recorded that they have entered the Hong Kong Fish Markets for sale.